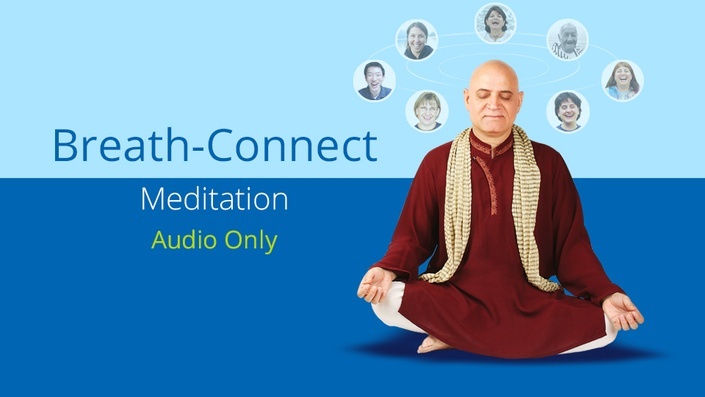 Learn Breath Connect Meditation - a powerful technique of visualization and breathing at the same time that helps you connect with others in a mysterious way. Breath Connect Meditation is a very powerful yet simple and easy to learn meditation. It is a technique of visualization and breathing at the same time that helps you to connect with others in a mysterious way and improves your relationship with others. As you all know breathing is a common connection between all living beings. Our body, mind and the whole universe is connected through breathing. It is our life and when you’re breathing for someone you are giving the energy of life to that person. In this meditation, we use our Minds Voice and Minds Eye to reflect and remember some important people in our life who have made a major difference. We see their faces on our mental screen, think about them and breathe for them. You can breathe for your partner and spouse, professional colleagues and also for people with whom you may be having a difficult time and a bad relationship. Any negativity or hatred towards that person will dissipate and you may see the changes in your behavior as well as in the behavior of the other person. Breath Connect Meditation was developed by Dr. Kataria in 1999. It has helped him to connect with thousands of people from different cultural backgrounds and mind sets and has also helped in opening several laughter clubs worldwide.